This was Mitt Romney’s response to a question regarding making sure the wealthy pay their fair share of the social security tax (more on that below). What time in this country is Mitt referring to? 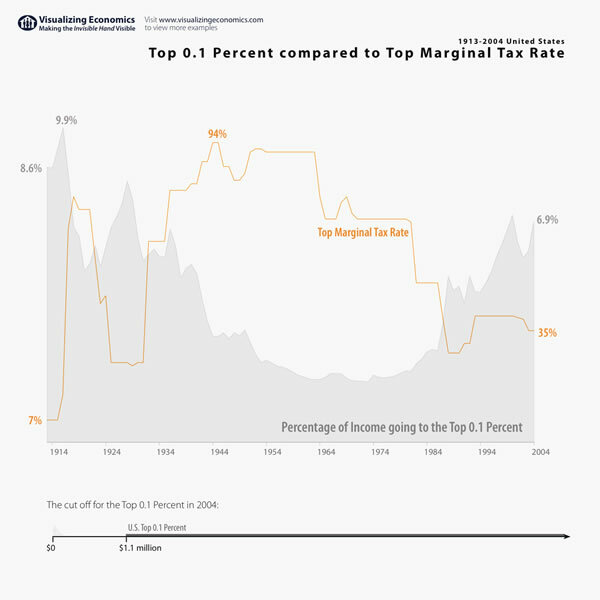 Is it when the top marginal tax rates were more than double what they are now and there didn’t exist such a huge divide between the rich and everyone else? 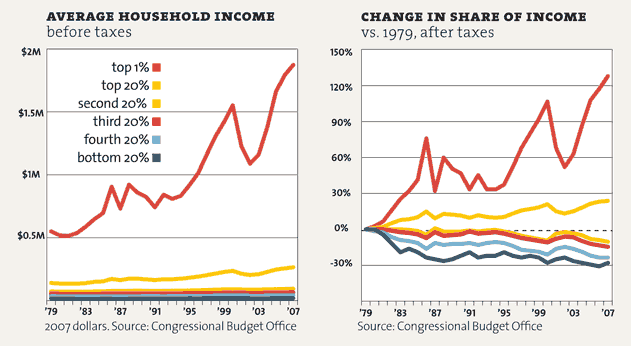 Was it back when capital gains taxes were higher than the 15% that Romney now pays in taxes? What is this America Mitt Romney misses that sorely contradicts his tax and economic policy and contradict his attacks on Obama as “wanting to fundamentally change America into something else” (when in fact Obama’s America closer reflects the America Mitt claims to long for)? 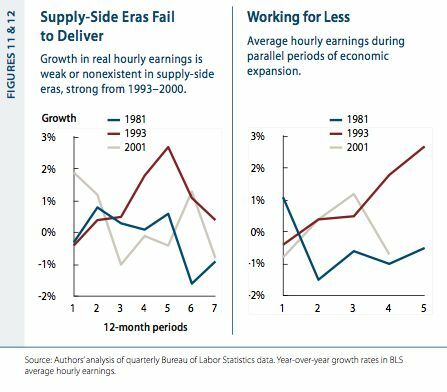 Mitt Romney’s America looks more like this. The social security tax issue the person in the audience was referring to. Currently, only the first $106,000 of income earned is subject to social security (12%). After this, nothing is taxed. What this means is that someone earning $106 million in income pays 1.2% on social security, while someone earning $53,000 is still paying 12%. In sheer dollars, this means that the person making that $106 million income paid about $12,720 while the person earning $53,000 paid $6,360 (half of what the millionaire paid). What’s more; there is no social security tax on capital gains (where the super wealthy like Romney really make their money). One more thing; because a higher and higher percentage of the nation’s wealth is earned at the top (because of our growing wealth disparity), less and less and of the country’s revenue is subject to social security taxes. Social security can’t be fixed by taxing the wealthy (because it’s “class warfare” or “punishing success” or some other overused pejorative). The bottom 50% “pay no taxes. They are ignoring payroll, state, and sales taxes and hoping no one realizes they are only referring to federal income taxes . They are also hoping that no one makes the connection that these people pay no federal income taxes because their real earnings have fallen into the lowest tax bracket as more of the wealth has coagulated at the top.